Sweet Mama, our favorite green kabocha. Full disclosure: We love kabocha squash! Kabochas (and kabocha-type squash) have been a major focus of the WINTER squash project. 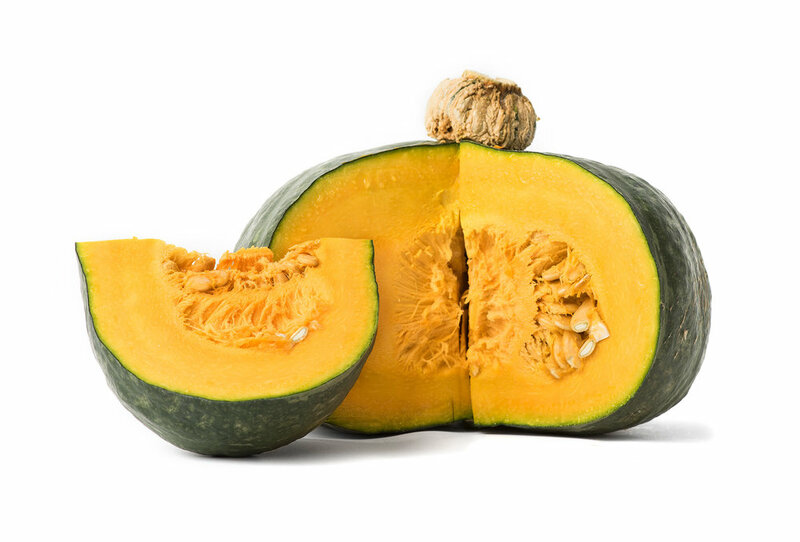 Kabocha squash typically have deep orange, thick, flaky, nutty and flavorful flesh. Kabochas are not ripe when harvested in September. They need to further ripen for a month or so to increase sugars and flavor. We have trialed many Kabochas in this project, and none have performed as well as Sweet Mama, a hybrid that was an All American Selections winner in 1979. It stands out from other kabochas as it stores very well into January (most are much more susceptible to the storage rots we have here in western Oregon), and it is beautiful and has a wonderful sweet nutty flavor. Sweet Mama has also performed well in trials conducted by Fedco Seeds in Maine - thy say it has an outstanding flavor and is very dependable.